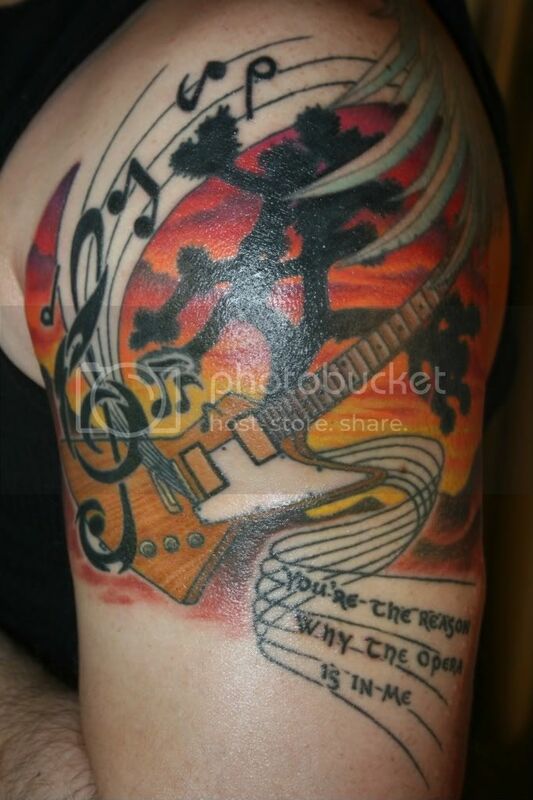 Look what i found when Googling U2 Tattoos, some cool pics here. thanx for bringing this up! i had to laugh with infinitums weird comment: tattoo's are oaky but not for woman. guess voting is okay, but not for women either? driving is okay, but not for women? having a job is okay, but not for women? goin to pubs is okay, but not for women? drinking/smoking is okay, but not for women? PLEASE!!! okay, just forget bout that, i need help. i have a sun on my wrist, cause i like the sun, the warmth she gives, the life. and to me she's a symbol for life itself (cause i'm no longer really religious, but i figure there's still something out there?) had this sun, my first tattoo, when i was 35. and want another one in 3 years when i turn 40. i want it to be a symbol of the opposit force on earht: the sea. i want a seashell on back of my neck, under the hairline. 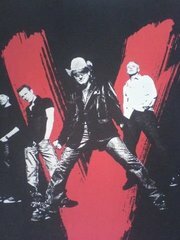 but would like an apropriate line, u2-song, underneath. I've seen a couple of zoo babies like this one - I was thinking about this one before I got the 'if god will send his angels' winged heart instead. I will have to get this one though one day! Love it!!!! That is so good - and love the style of writing for AB too! Where abouts is it? I love this one. It's been Inked really well and represents what it's supposed to, so many tattooist can't get the little things 100%. This ones perfect. Its on my hip Zhivvy. Its quiet large,,,about 4"x5"
ooh nice,i want another one now. 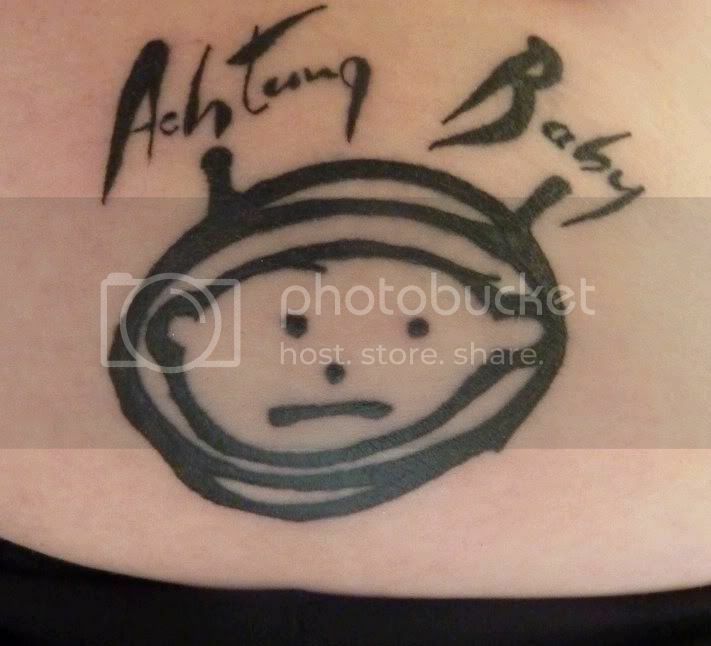 Best Baby tattoo ever, hands down, no contest!!!!!!!!!!!!!! !